Whatever tournament you’re planning, if the field has eight teams (or eight players) and it’s single-elimination, then you’ll find our blank eight team brackets and templates incredibly useful. 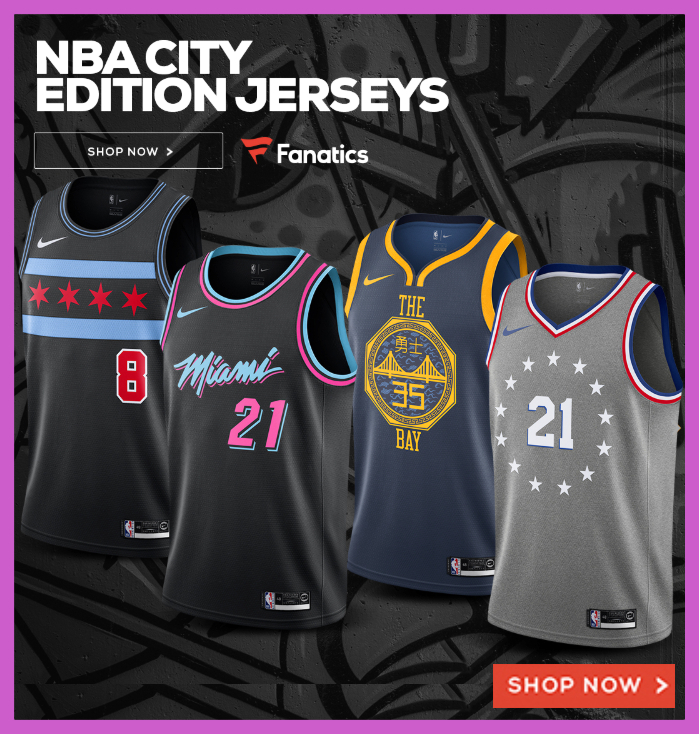 The eight team brackets we provide allow for single-eliminations and three rounds of games that will ultimately determine the champion of your tournament. Our printable tournament brackets can be customized too. How Does An Eight-Team Bracket Work? The most-popular example of an 8-team bracket is the Elite Eight during the NCAA Men’s Division 1 basketball tournament. If you’re familiar with March Madness, then you’re aware that the fifth round of the college basketball playoffs has eight teams remaining in the field — thus, the Elite Eight. Eight teams allows for all the participating teams to match up against an opponent in all four games of the first round. After that first round (officially called the quarterfinals), the four winners move on to the tournament semifinals, where they’ll play in two games to determine the two teams that will play in the final Championship game. 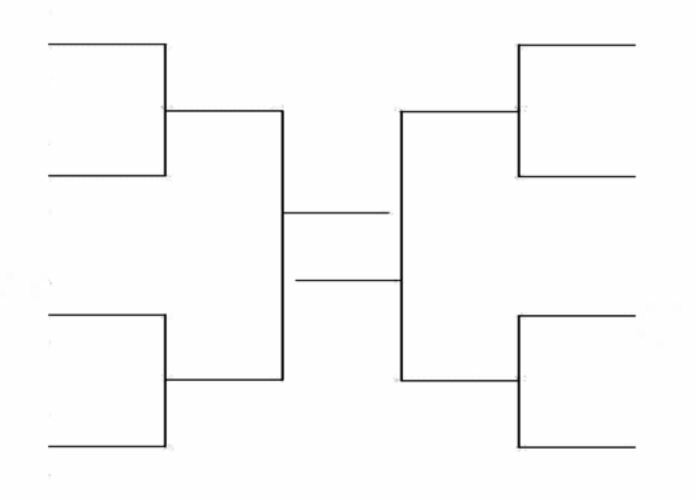 Any bracket that involves 4, 8, 16, 32, 64 or 128 teams in a single elimination is an easier tournament to run because it allows half the field to be eliminated in each round up until there’s one left — the champion. That also means that the eight team bracket doesn’t need to include any play-in games or byes to work. 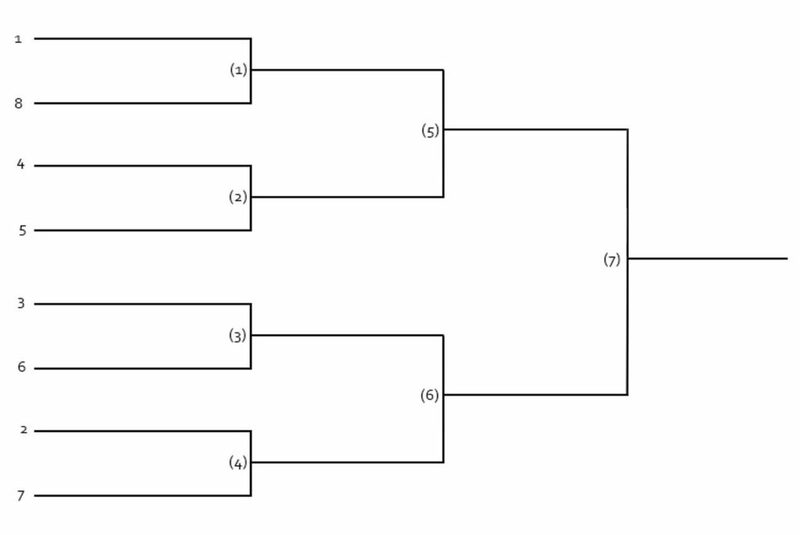 Another way to refer to an eight team bracket is the 4-2-1 tournament format. With an eight team bracket, the seeding isn’t difficult either. Using the first match-up as the top (#1) seed against the lowest seed (#8), you can just then go down the list — 2 plays 7, 3 plays 6, and the 4th seed plays the 5th seed. The winner of the 4/5 match-up will be on the highest seed’s side of the bracket while the #2 and #3 seed will be on the other side. The aim here is to reward the highest seeds for having the best regular season records. Here’s what the typical 8-team seeded bracket looks like. We have the eight team bracket template in both portrait and landscape layouts for your tournament needs. Our blank 8 team, single-elimination brackets give you the ability to download the printable bracket in whatever format or layout you prefer, then you can print it out and fill in the title and teams as the tournament progresses. In order to properly download, print and fill out our PDF version, please ensure you’re using the latest version of Adobe Reader to get these to display and print out properly. If you’re like to type in the team names, dates, times, and locations of games then we highly-recommend downloading and editing the Word document 8-team bracket here.